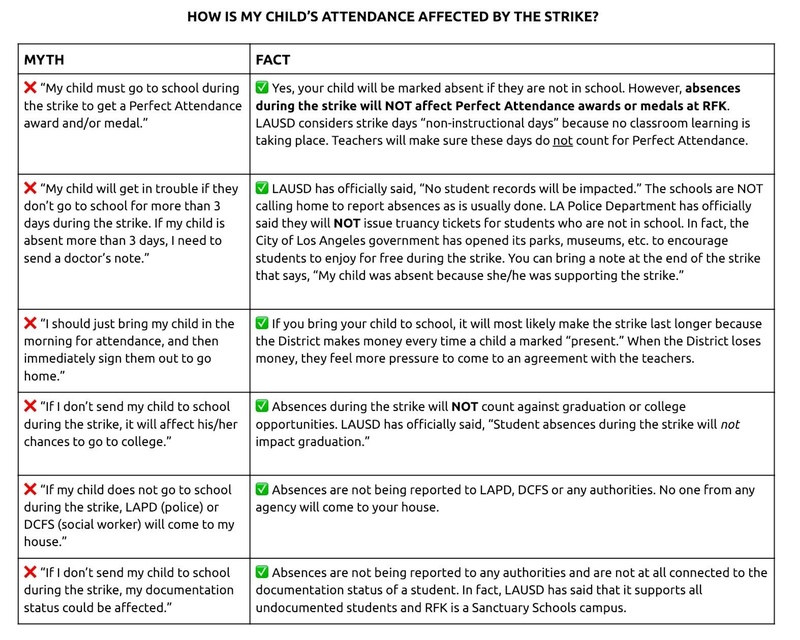 There’s a lot of misinformation spreading about LAUSD attendance during the strike. 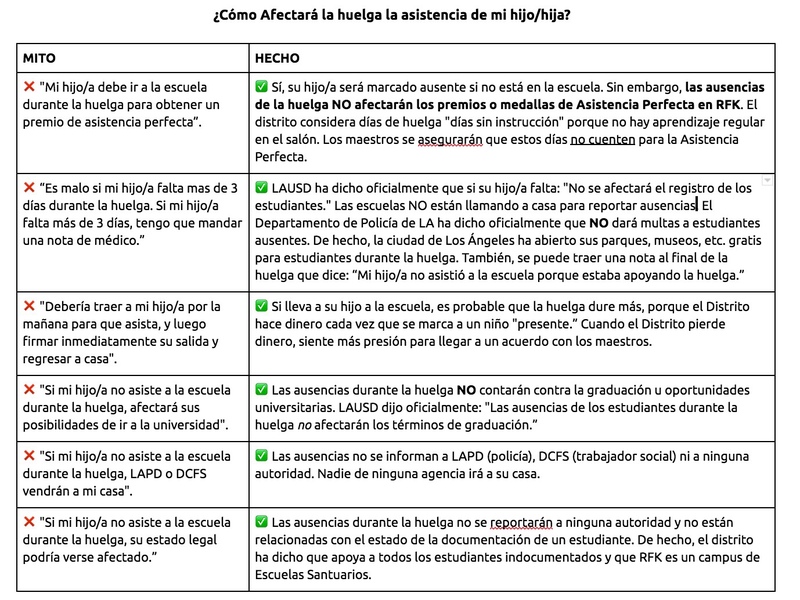 So some teachers came up with this informational sheet to address the rumors and questions out there, and 99% of it is applicable to everyone else (the 1% not-applicable part is the name of our school). 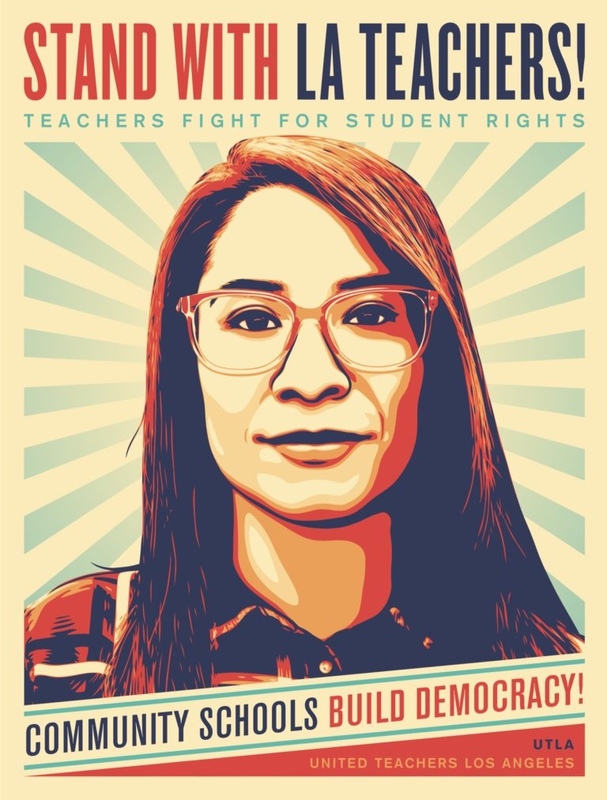 They are in Spanish, Korean and English.